Fitness Yoga in Worcester will enhance your sporting performance helping you improve your personal best. Whether you be running, climbing, playing racket sports, rowing, cycling or playing rugby in Worcester the list of resources here are endless. Fitness yoga will help with the sport of your choice. Many fit people in the UK don’t think Yoga is for them as they may be fast and strong but not flexible. However flexibility comes with a regular Fitness Yoga practise. Yoga for fitness in Worcester is an essential ingredient to improving an already accomplished sporting practise or fitness regime. Yoga 7 has been supporting professional football, rugby and squash players since 2015, including Steve Cole, qualifier for the World Championship Squash over 45’s 2018. Many adults in the UK spend more than seven hours a day sitting or lying, and this typically increases with age to 10 hours or more. This includes watching TV, using a computer or other electronic device, reading, doing homework, travelling by car, bus or plane. Too many hours a day seated shortens the ligaments in the vertebral column, increases the risk of death from cardiovascular disease and cancer. Yoga postures help strengthen the the vertebral column and with a regular practise enable more flexibility. Yoga can even be done in the car whilst your driving, within reason. At Yoga 7 for fitness Worcester UK, you will learn postures to practise pertinent to your current fitness regime, as Yoga encompasses the whole body. Whether in an office, car or bike over the Malvern Hills or Worcester, sitting all day slows the metabolism, which affects the body’s ability to regulate blood sugar, blood pressure and break down body fat. When the body is kept in a steady position for a long time, which happens during the breathing techniques in the beginning of each Yoga 7 class and the relaxation of 20 minutes at the end, the mind becomes free from physiological disturbances caused by physical activities of the body. Yoga is a thoroughly practical system, which can profoundly help people in both everyday living and in exploring life’s deeper aspects. Yogic exercises are designed to maintain correct curvature of the spine, increase its flexibility by stretching both longitudinal ligaments. Yoga 7 fitness is not only a workout for the body but its also a workout for the mind, it helps with stress relief, aids concentration and obtaining a sense of peace. You will over a period of time become more in tune with your body from doing Pranayama (breathing techniques for cleansing the internal organs and therefore better able to prevent injury, avoiding interruptions to your fitness. Worcester has so many fit and sporty people who practise sport and are committed to fitness, why not incorporate Yoga 7 Fitness as part of that practise. Yoga 7 offers traditional yoga where each class is 90 minutes. 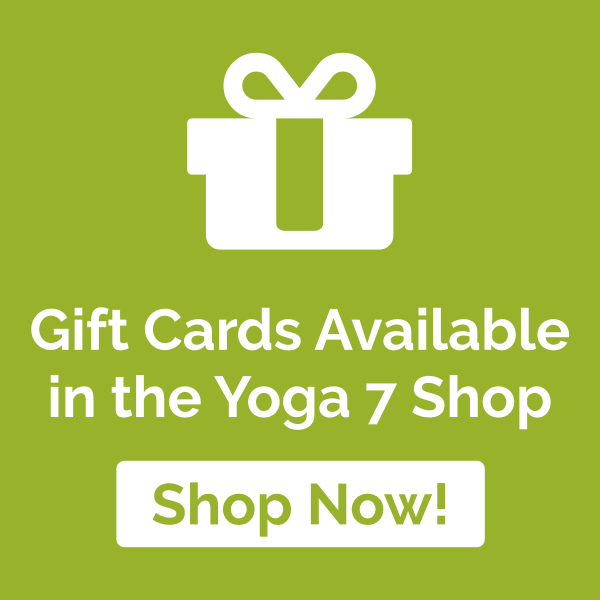 Get in touch by registering online for your first Yoga 7 class or treat someone to a Yoga 7 Gift Card which is now available in the Yoga 7 shop.